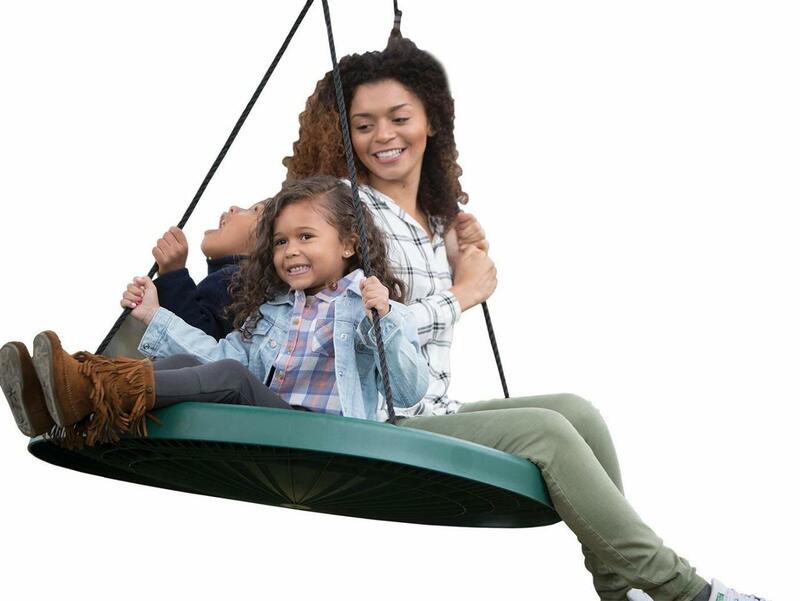 From the Original Makers of The Best Selling 'Super Spinner Swing', comes our Newest Innovation! 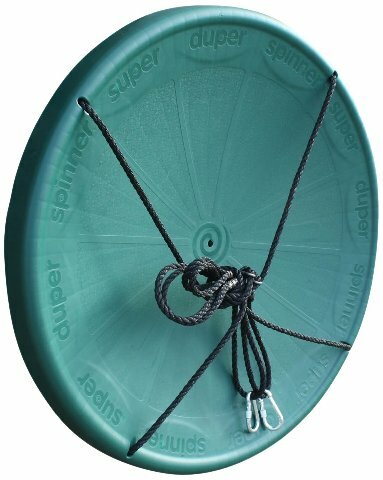 THE SUPER DUPER SPINNER, With More Super Duper FUN, Super Duper Sized and of course, our PATENTED SUPER DUPER SAFE SOLID SEAT DESIGN! NO TANGLE, NO MILDEW, No Worries, Just Super SAFE FUN PLAY! SAFETY We drew from 7 years of knowledge, testing and the input of thousands of Happy Children, Moms, Dads and Grandparents alike. 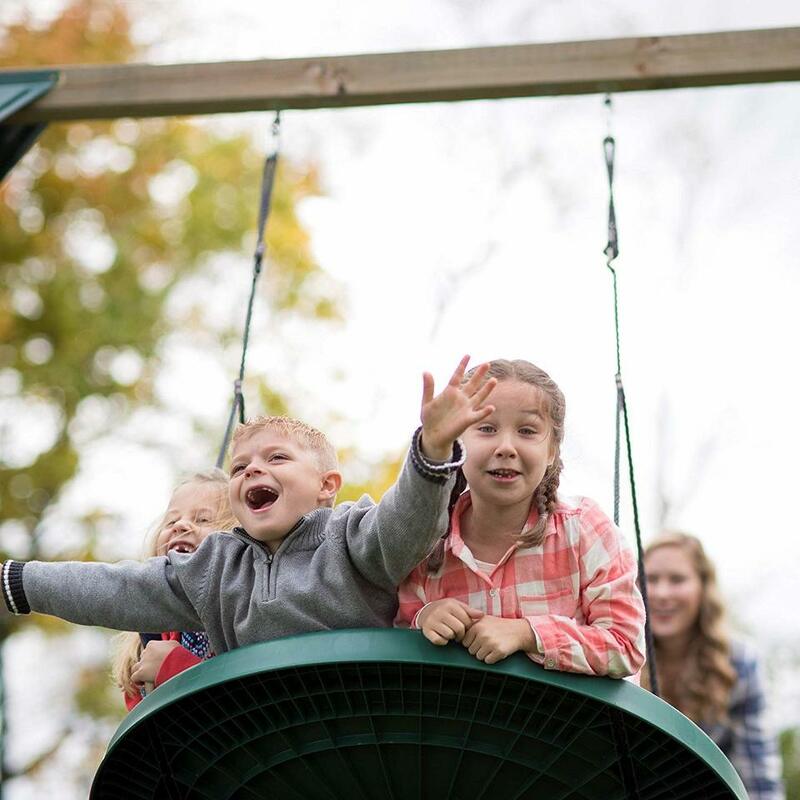 CONFIDENCE While most swing products are China Imports, we have been designing, testing and building high quality products for your family, right here in the USA, and your kids are worth it! But it's more than a swing. Why it's practically a backyard amusement park ride. It swings. It spins. It swings and spins at the same time! Plus, the super safe, solid seat is so comfortable, it makes the Super Duper Spinner a great place to inhang outin and relax too! 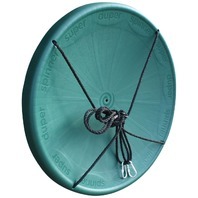 Once the Super Spinner fun begins, your kids will never want to come inside. 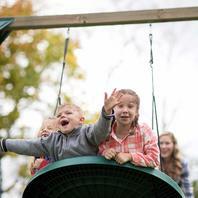 Kids can share the ride! Adults too! COMES FULLY ASSEMBLED and EVERYTHING INCLUDED for quick, easy installation. On a Swing Set, just hook it up. It's that simple. For a tree, every Super Duper Spinner comes with our patent pending Super Tree Swing Hanging Kit, which includes 10 ft. of USA Made Heavy Military Grade Double Braided Black Nylon Rope, a stainless steel rope adjuster. Find a safe, sturdy limb, follow the instructions and you're finished in minutes. Swing Set or Tree. There. You're done. Now sit back and watch your kids HAVE FUN! NOTHING EXTRA TO BUY, EVERYTHING IS INCLUDED. No Web, No Net, No Problems, JUST FUN SAFE PLAY! 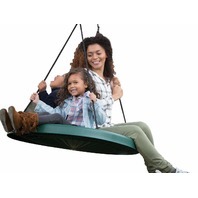 THE ULTIMATE CHILD/ADULT SWING! Everyone Loves it! Your kids won't want to come inside and neither will you. Have Fun! SUPER FUN GIFT FOR ONE OR MANY RIDERS! ADULTS TOO! THEY WILL LOVE IT! Patented Solid Seat Design, SAFER for Tangle Free, Mildew Free and More Comfortable Play. FUN! Browse the pictures for all that's included. ENJOY! MADE WITH FUN IN THE USA! HEAVY DUTY, 40 Inch. Holds 650 lbs and Quality Engineered. Fully Adjustable Ropes. Double 6-ton Copper Safety Crimps won't crack or break v.s. China Made Plastic Rope Welds. ARE THEY READY FOR SOME NEW OUTDOOR FUN? 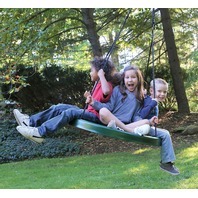 INCLUDES A 10 FT. FREE SUPER TREE SWING HANGING KIT ($30 value!). 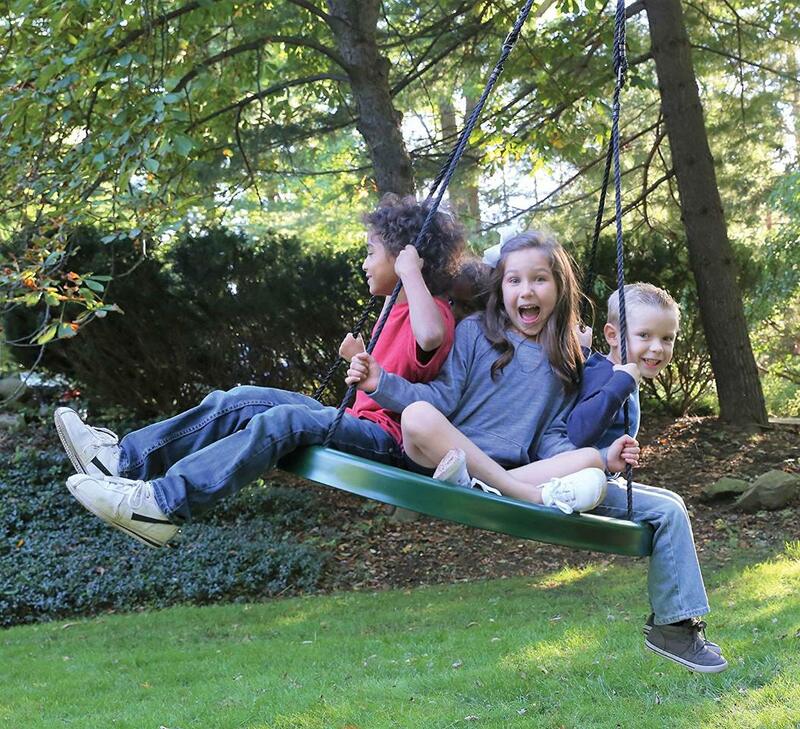 Fully Assembled and everything included for QUICK and EASY SWING SET or TREE SWING Install.